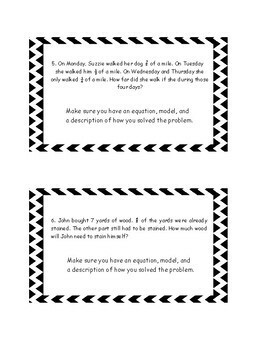 This printable consists of 20 task cards focused around multiplying fractions by word problems. 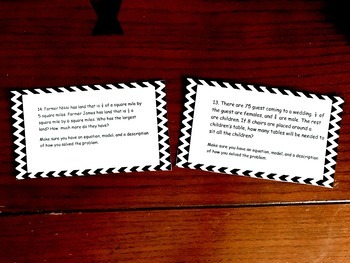 A few of the problems are simple one step problems, the majority though require numerous steps. 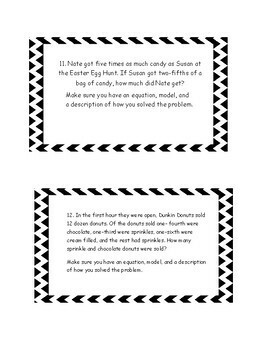 A few problems have addition and subtraction of fractions so the students can not always assume they have to multiply. 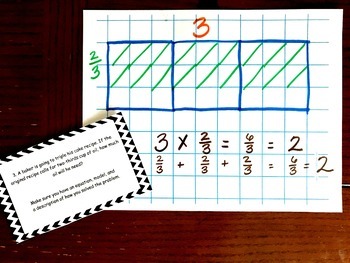 The task cards encourage that the students show models and equations of their work.